Matthew S. Jaffe joined the firm in 1999, and became a partner in 2011. 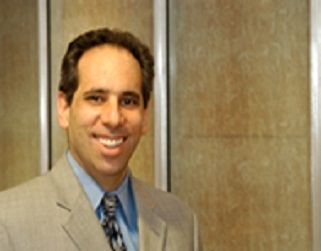 Mr. Jaffe regularly advises Indian tribes, Alaska Native villages and Indian organizations on a wide range of legal matters involving the Indian Self-Determination and Education Assistance Act, transportation, housing, public infrastructure, construction, financing and federal contracting law. He has advised Indian tribes and worked with federal officials concerning the development of regulations under the Indian Self-Determination and Education Assistance Act (ISDEAA), the Native American Housing Assistance and Self-Determination Act (NAHASDA) and the Transportation Equity Act for the 21st Century (TEA-21) (IRR Program). Since joining the firm, Mr. Jaffe has worked extensively on transportation issues affecting Indian country, and advocated for the transportation infrastructure needs of Indian reservations and communities. Mr. Jaffe also served as an advocate for tribes on passage of the tribal transportation provisions that were enacted as part of SAFETEA-LU, helped to develop advance construction agreements used by the BIA and Indian tribes and the first-of-its-kind IRR Program Agreement used by tribes and the Federal Highway Administration, and works frequently with tribal and federal representatives to the Tribal Transportation Program (TTP) Coordinating Committee. A major part of Mr. Jaffe’s practice is devoted to providing legal assistance to tribal clients so that they may effectively implement the transportation programs made available under these federal laws to address their transportation needs. He has spoken at regional and national tribal transportation conferences and meetings concerning the TTP and federal transportation legislation.